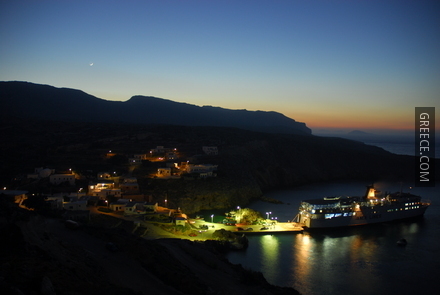 Antikythira, or Tsirigoto (from the Venetian Cerigotto), is a small island of 20 sq.m. that once was of high strategic importance, between Kythira and Crete. It is known for a shipwreck that was found in its waters in 1900 AD, hiding a unique machine that was later named after the area. 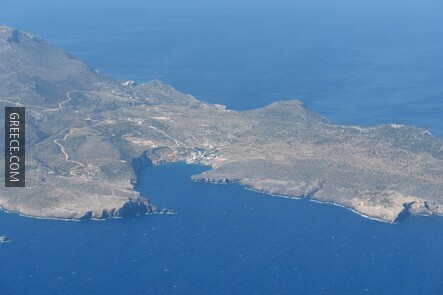 Antikythira is a very important stop-over site for migratory birds during seasonal movement, due to its geographical position and certain features (a longitudinal island, on a north-south direction and very little human activity). Furthermore, the island hosts the largest breeding colony of Eleonora's Falcon (Falco eleonorae) in the world. The ancient name of the island was Aigila. Its strategic importance was immense, as it was the gateway to the Aegean, lying between Crete and the Peloponnese. During the Bronze Age, the island was heavily influenced by Cretan culture. Between 400 - 300 BC, it prospered, mainly because of the inhabitants' involvement in piracy, until 69 BC, when the Romans decided to quell piracy, killing all inhabitants of the island. In 365 AD, an earthquake of high magnitude changed the morphology of the area - the island was raised, altering the location of ports and bays. Afterwards, it slowly started getting repopulated, and was later conquered by the Arabs. In 1204, it passed to Venetian hands. The Turks never conquered the island, as Venetians kept it under their rule until 1800. While the rest of Greece was under the Turkish yoke, Antikythira became a refuge for many Peloponnesians and Cretans. In 1797, Napoleon won against the Venetians, and the island became virtually independent; not for long though. A few years later, in 1815, it had the same fate as the Ionian islands, passing to British hands; they converted the island to a place of exile. Along with the other Ionian islands, Antikythira was annexed to Greece in 1864. During World War II, the island was conquered by Italians and Germans. In 1943, the Germans drove the inhabitants away, as they wanted complete control of the area. After the end of WWII, it once again became a place of exile until 1964. 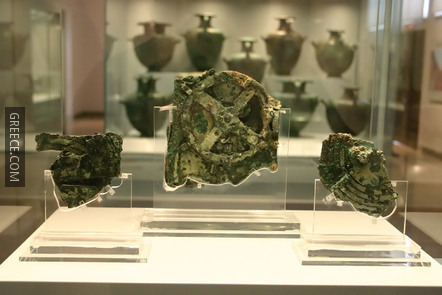 The island is well known for the Antikythira Mechanism, which was found in a shipwreck around the area. 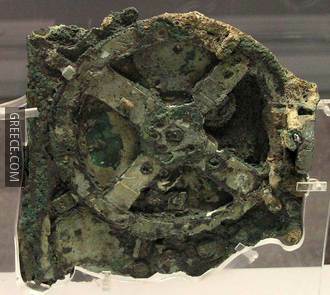 This was found by local sponge divers in 1900 and is considered to be the world's first computer. Exclusively consisting of mechanical parts, this device was used to calculate planetary movements, solar and lunar eclipses and much more. 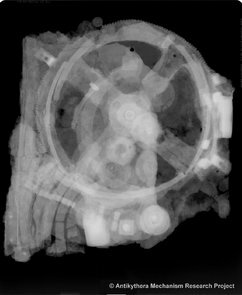 Its high complexity has impressed archaeologists, who examine the device in awe, as similar devices only started appearing a millennium later than its creation date. 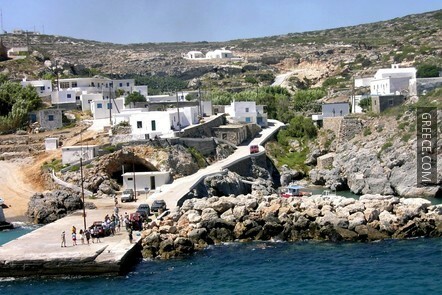 The main village of Antikythira is Potamos, which is also the port. Various smaller settlements can be found scattered on the island. 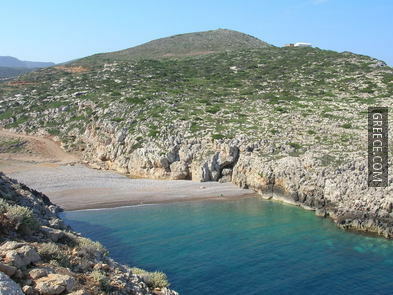 Xeropotamos beach lies east of Potamos, near ancient Aigila, while another alternative in Potamos is the beach of Halara. 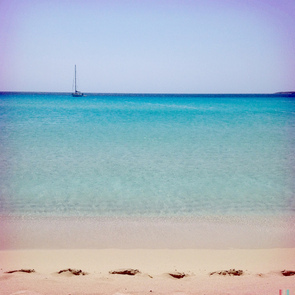 However, the most interesting beach of the island is Kamarela; you will never forget the uniqueness of the small bay, with its crystal-clear waters and the sea-carved rock formation. Kastro: In Kastro (Castle), in the northern part of the island, lies an ancient walled city dating to the Hellenistic years. The city is well preserved and covers an area of 300 acres. A remarkable finding is the ancient boathouse, carved in the rocks, used for the docking of a warship or pirate ship. Excavations in the area suggest that the fortification was probably built around the 4th or 3rd century BC. The island was probably under the influence of the Cretan pirate city of Falassarna; both had the same fate in 69 BC, when they were defeated by Romans. Wars have left their marks here; among the findings, there are many catapult projectiles, spearheads, while the fortifications have evident marks of hasty repairs. The area is open to visitors, while during August and September, there are guided tours by the archaeological society. Sanctuary of Apollo: At the bay of Xeropotamos, there are remains of the ancient port of Aigila. 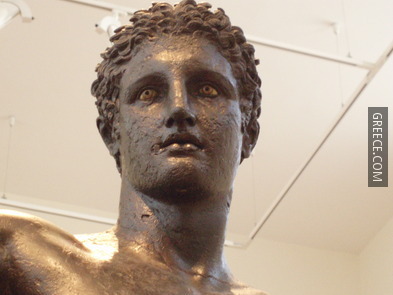 In 1880, a statue of Apollo was found here, which is now exhibited at the Archaeological Museum in Athens. Parts of the ancient sanctuary may still be seen today in the area. The Watermill of Andronikos: In Potamos, there is a watermill that was probably built in the beginning of the 19th century AD. It is an interesting sight, worth visiting. Churches: There are seven churches on the island. Among them, make sure to visit the church of St. Myronas, which has icons made of pure silver. Gastronomy: Local delicacies are offered at the two beautiful taverns of Potamos; wild goat, fresh fish and local wine. Everyone gathers here at night to enjoy the food and the wine. Before leaving, don't forget to get some local honey! By sea: The island is connected on a regular basis to Piraeus (9.5 hours), Gytheio (5 hours), Kythira (2 hours), Neapoli (4.5 hours) and Kastelli in Crete (2 hours). For more information on ship routes and timetables, please consult the port authorities and travel agencies of the connected areas. Walking: You are advised to walk around the island, as it offers unique views. 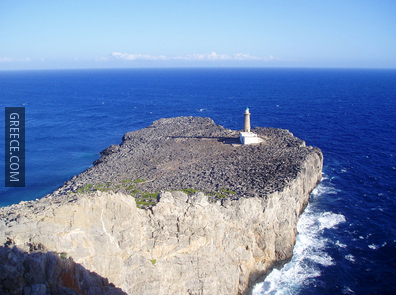 Walk along the path to the Lighthouse of Apolytara to feel the wild beauty of the area. Make sure to ask locals for more information first.